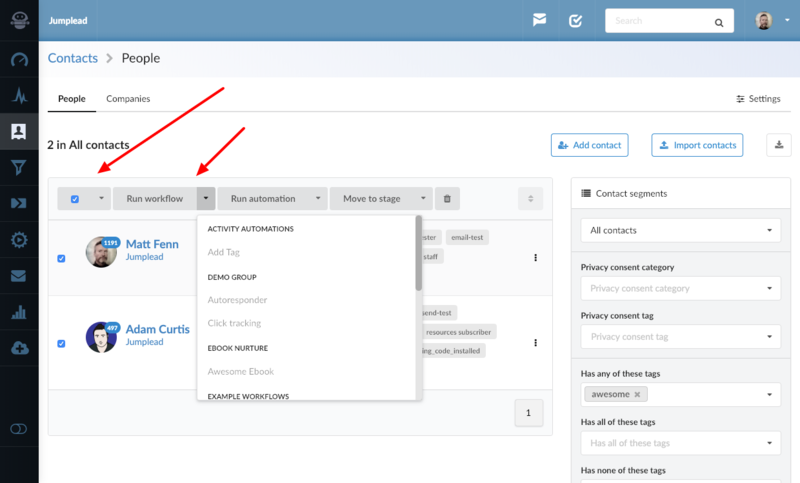 You can run your Automation Workflows on segmented lists of contacts, this is useful for enrolling groups of your contacts into an autoresponder sequence, adding a tag or changing the stage of a group of contacts. 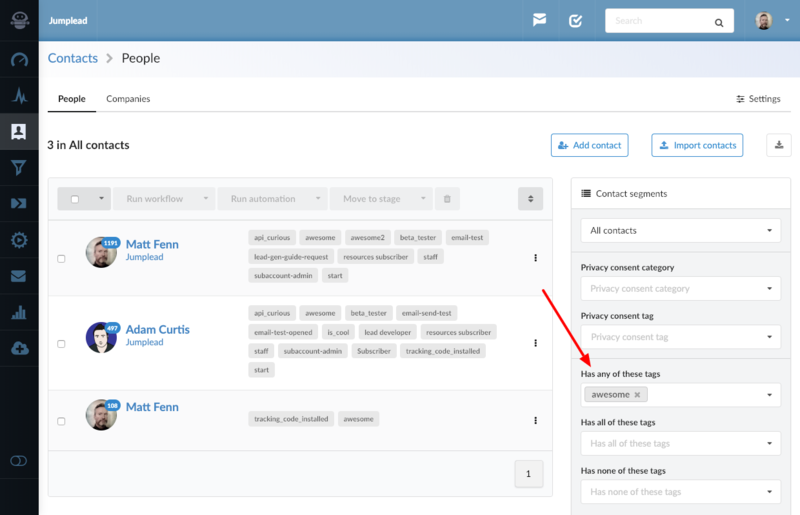 Add any segmentation filters to get the contacts you want displayed. Click the tick box to select the contacts on the page and you will see the option to select all of the contacts in the segmented list. Click to select all of the contacts in your list. When you have selected all of your contacts click the 'Run workflow' icon, which will give you a dropdown menu containing your available Workflows. Select the Workflow you would like to run on the contact list you are working with.